We have customers with AppScale deployments running on everything from a single VMware machine to hundreds of Google Compute Engine instances. Usually our users have questions about how large their deployment can be- how they can accomodate 200,000 concurrent users, for example. One of our community users, however, has been working on a very different challenge. 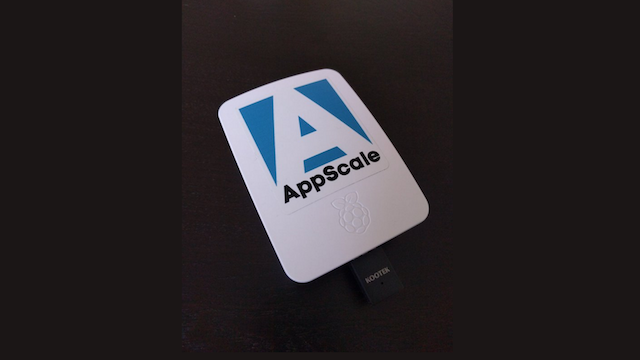 Thanks to AppScaler Leo Andres, you can now run AppScale on a Raspberry Pi 2! In addition to being awesome, this shows just how flexible the AppScale platform is. As long as you have enough disk, compute power and network, you can bring your Google App Engine applications anywhere. We're excited to see how other community members experiment with running AppScale on Raspberry Pis (Pi cluster, anyone?) and look forward to giving away some Raspberry Pis preloaded with AppScale at our next event.